The popular Scotch blended whisky brand of Cutty Sark, which was first produced in 1923, has been sold by The Edrington Group. The new owners are French company La Martiniquaise-Bardinet, who also own the Glen Moray single malt distillery and Label 5 blended Scotch brands. Completion of the deal is expected within one month. Edrington are to provide blending, bottling and other associated services during a transition period. "We are proud to take ownership of this powerful brand. Cutty Sark perfectly compliments our portfolio of international brands and this acquisition is a major step forward to accelerate our international expansion." 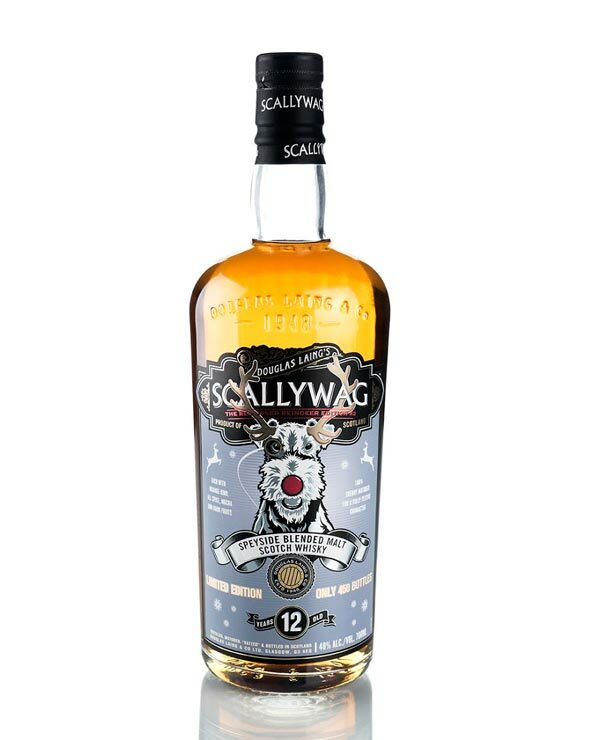 Prolific family-owned independent bottlers Douglas Liang & Co. continue their very busy year with the release of a limited edition blended malt whisky for the Christmas period - the Scallywag Red-Nosed Reindeer Edition #3. The whisky was launched last week on Black Friday and is available exclusively at www.douglaslaing.com. As with all releases in the Scallywag range, the whisky is composed of only Speyside single malts. In this case, all are 12 years of age and have been matured in ex-sherry casks for an extra Christmassy feel. It is non chill-filtered and of natural colour. There are just 450 bottles and each will cost £65. "Christmas capers ensue once again here at Douglas Laing with the release of the third and final expression of the Scallywag Red-Nosed Reindeer. It is essentially a Christmas pudding in whisky form!" Chris Leggat - CEO at Douglas Laing & Co.
A new TV programme about whisky has aired on Amazon Prime. The Three Drinkers Do Scotch Whisky is a four part series exploring the world of Scottish whisky in a new and innovative way. It has been launched to 65 countries around the world. Further adventures for The Three Drinkers - whisky expert Colin Hampden-White, wine and spirits communicator Adrian Smith and Helena Nicklin, wine writer and Editor of The Winerist - are planned, covering different subjects within the drinks sector. To watch the trailer - please click here.